Judge Cohen served as a Judge of the Superior Court of New Jersey for over 23 years. He was appointed by the Chief Justice as the Presiding Judge of the Chancery Division, General Equity and Probate Part since 1998. When he was first appointed to the bench in 1981, Judge Cohen served in the Juvenile and Domestic Relations Court, where he presided over family matters. In 1984 he became a Judge of the Superior Court, Law Division and presided over more than 200 criminal jury trials, including several capital cases and many public interest cases. He was also given the distinction by the Chief Justice as one of eight judges in the State authorized to review wiretap applications and was named as an Executive Judge. 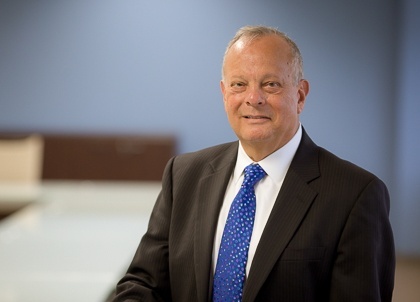 Once he was appointed to the Chancery Division, General Equity and Probate Part, he oversaw complex general equity and probate litigation until he retired in 2004. After retiring, Judge Cohen continued to serve as a Judge on recall and presided over approximately 50 termination of parental rights matters. During his tenure as a Judge, he also served on both the Supreme Court Committee on Criminal Practice and the Supreme Court Committee on Civil Practice. Before his appointment to the bench, Judge Cohen served from 1977 to 1981 as the first General Counsel and Director of the Legal Division of the New Jersey Casino Control Commission. From 1970 to 1977, he served as an Assistant Prosecutor and then Chief of the Appellate Section in the Essex County Prosecutor's Office, where he argued many cases, including 28 reported decisions, in the Appellate Division of the Superior Court of New Jersey, the Supreme Court of New Jersey, the United States District Court (NJ), and the Third Circuit Court of Appeals. Judge Cohen is a member of the American Bar Association (Dispute Resolution Section), the Association of the Federal Bar of New Jersey, the New Jersey State Bar Association (Equity Juris Prudence Committee) and the Essex County Bar Association (Professionalism Committee). In 2011, the Essex County Bar Association presented Judge Cohen with the Samuel S. Saiber Professional Achievement Award. In 2012, Judge Cohen was named to the 2013 edition of Best Lawyers of America in the field of Alternative Dispute Resolution. 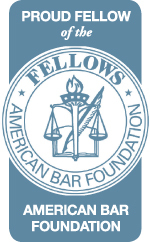 In 2013, Judge Cohen was elected to the Fellows of the American Bar Foundation, a non-profit organization dedicated to advancing justice through rigorous research on the law, legal practices, and the law's impact on our society. Also in 2013, Judge Cohen was inducted as a Charter Member of the National Academy of Distinguished Neutrals New Jersey Chapter. The Academy is the nation's largest professional association of premier civil-trial mediators and arbitrators. Argued 28 reported decisions in the Appellate Division of the Superior Court of New Jersey, Supreme Court of New Jersey, the U.S.D.C of New Jersey and the Third Circuit Court of Appeals. As a Judge, tried hundreds of jury and non-jury trials and served as presiding judge of Chancery Division, General Equity and Probate Part, 2000-2006.